Q: Why do I need a Preventative Maintenance Contract for my HVAC equipment? A: Just like your automobile, HVAC requires periodic maintenance. If a car has a 60,000 mile engine warranty and the engine fails because the oil was never changed, the warranty would be in question. We take our car in for preventive maintenance, we go to the dentist for preventive dentistry and to the doctor for preventive medicine. It only makes sense to do the same for HVAC. 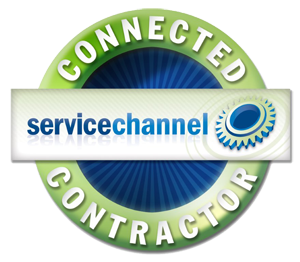 Q: Why should I use 1st Mechanical Services as my HVAC service contractor? A: Because we are the best!! Best Technicians. Best Response. Competitive Pricing. 1st Mechanical’s skilled technicians are highly trained and undergo continuous education. 1st Mechanical offers other services in addition to HVAC, i.e. lighting change-outs, light bulb maintenance, office renovations and minor construction, plumbing and virtually any services needed for a commercial facility. We truly are a 1st Rated contractor. Q: How can I reduce the costs associated with my commercial HVAC system? A: Operating commercial HVAC systems are a big business expense, accounting for 40 to 60 percent of a building’s energy use! 1st Mechanical eases costs to get high-efficiency comfort with HVAC systems. We perform routine maintenance by checking all of the motors, belts and steam traps. 1st Mechanical will replace your system’s filters and clean the coils – along with the boiler heat transfer surfaces. We also adjust the HVAC systems to match the hours when the building is in use. We recommend an automated energy management system that will alter indoor air flow and temperature based on the outside climate and building use. Our trained experts will conduct an energy audit, study the use and traffic in your building, identify the peak hours of heavy use, and when the building is unoccupied. Q: Can I reduce energy costs by replacing an older commercial HVAC system? Invest in the highest-efficiency boiler, furnace, chiller, air handler and rooftop unit that your company can afford. High-efficiency systems use less energy and cost less in utility bills. Recalculate the energy load on your building. Chances are the building and its use have changed since the previous system was installed. With better building efficiency, you may be able to install a smaller and less costly HVAC system. Simple measures like reducing the lighting level, insulating windows and sealing duct leaks may decrease HVAC demands. Appliances and other equipment also can emit heat and strain your HVAC system. We can evaluate their use and energy costs. Consider automating energy management. 1st Mechanical offers various new computerized systems adjust air flow and temperature based on occupancy, building use and other factors. Q: Can green design by 1st Mechanical lessen demands on commercial HVAC systems? A: By keeping your company out of the red with high energy costs you should invest in green products and green design. Green design is used in new construction to reduce demands on commercial HVAC systems that often run continuously. Green products include windows that optimize sunlight and reduce the need for artificial lights that strain cooling systems. Companies should consider investing in HVAC systems that use non-polluting refrigerants — a green product that won’t harm the environment. The EPA is phasing out ozone-damaging refrigerants for a family of refrigerants that don’t contain chlorine. Q: What basic steps can I take to cut energy costs in my building? A: Your commercial HVAC system is probably your biggest energy consumer. 1st Mechanical offers regular tune-ups that are guaranteed to reduce your energy bill by at least 5 percent! If a major problem is found, your savings could be even more significant. Don’t let small repairs pile up and items go unchecked. Call 1st Mechanical at (888) 346-0792 to investigate any unusual sounds, smells or malfunctions. 1st Mechanical offers a comprehensive cleaning solution for all outdoor condensing units, which can get clogged with dirt and dust that block air flow. When the compressor works harder to discharge hot air, it increases energy costs. We inspect heating and cooling ducts for leaks, which can waste a lot of energy. 1st Mechanical also cleans and/or replace all air filters and calibrates all thermostats. Evaporation from cooling towers provides a very basic need. They cool water. There is a very important next phase to this, if the water they cool (usually condenser water) is too high, your HVAC equipment is probably not going to stay online for very long to provide cooling to your building. This could be a water cooled chiller, self contained package unit or even in winter time a economizer system. The conditions these cooling towers operate under are usually in harsh conditions with very high moisture. Towers as a sideline act like a big filter. Dirt gets into the water by way of outdoor air currents and collects in the water of the tower. This dirt builds up overtime and can possibly work its way into the water cooled HVAC equipment. The tower itself can get scaled up from water deposits. Fan drive systems, belts, motors, transmissions, oil reservoirs all take a beating. We successfully provide the required service and preventive maintenance with backup 24/7 emergency repairs. Call us today to learn more. We service and repair all major HVAC equipment, rooftop units, boilers, chillers, exhaust fans, cooling towers, temperature & humidity controls, pumps, installation of duct systems, computer rooms, and chillers for MRI magnets. 1st Mechanical Services offers service replacement and repairs for Carrier, Lennox, Trane, York and most other major manufacturers. 1st Mechanical will service your VAV boxes, heat pumps, boilers and cooling towers, chillers and RTU’s. We provide repairs and quarterly maintenance, as well as necessary chemical treatments. Proper chemical treatment and maintenance is essential for the continual operation of cooling towers and pumps. 1st Mechanical Services is your 1st Rate contractor specializing in all aspects of the HVAC industry, including Mold Detection Services. Scheduled maintenance plans focus on maintaining the performance and reliability of your equipment through OEM specifications, thereby extending equipment life and helping reduce repair costs. By determining the level of maintenance your equipment requires, an agreement defining the type, quality and schedule of maintenance tasks can be developed. Select maintenance plans focus on maintaining the performance and reliability of your equipment thereby, extending life and transforming repairs expenses into definable, affordable investments. By determining the level of maintenance your equipment requires, an agreement defining the type of quantity and schedule of maintenance tasks can be developed. By offering failure coverage for parts, labor and/or refrigerant, unexpected repair expenses are avoided.